Weston Park Cancer Charity is working in partnership with the NHS to deliver huge improvements to inpatient facilities which will benefit thousands of cancer patients and their families each year. To generate funding through public and business donations enhancing new wards, day room facilities, entertainment hub, lighting, comfortable seating for patients and visiting relatives and wifi across all the wards. The aim is to make a real difference at Weston Park Cancer Hospital. 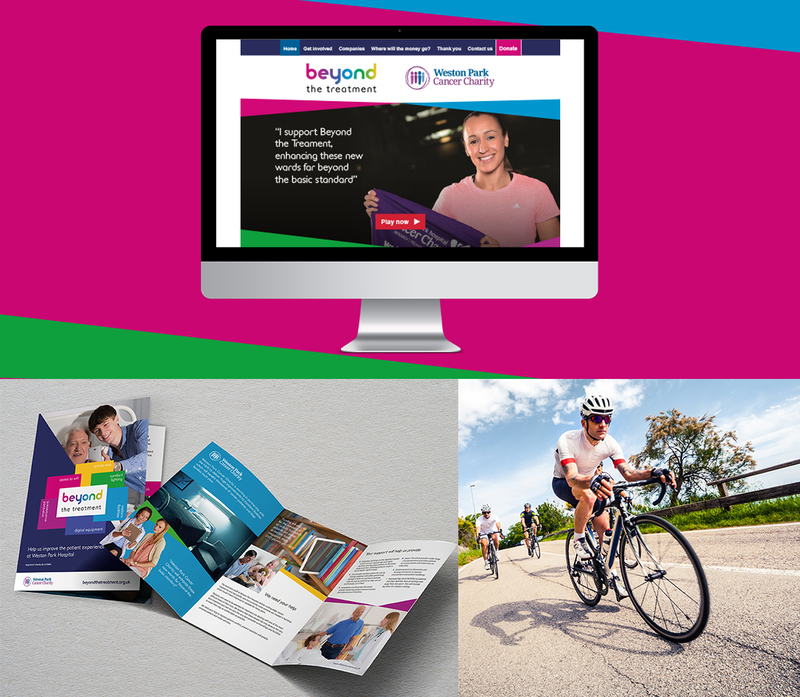 Design of a stand alone brand and messaging ‘Beyond the treatment’ and creation of a bespoke website and campaign material such as leaflets, flyers, posters, pull up banners, wall vinyl and hospital signage, social media messages and images, e-shots, customer letters, fact sheets to name a few. “Over the next three years as many as 10,500 people will benefit from the improved facilities at Weston Park Hospital and thanks to the generous support of people, we are able to ensure our hospital remains at the forefront of cancer care for generations to come.